Things to decorate that cabin or lodge. 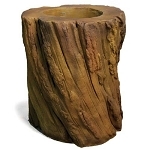 Decorative items such as animal statues and woodland scene items. Rustic and older looking decorative items hunting and fishing related items. As well as wall to core like yours and clocks that would be great for little cabin or getaway cottage.We also has a nice selection of animal statues that would go well at your cabin. We have listed only a small amount here. You can see more here at our Animal Statues page. Also you can find other items under our Garden Ornaments page. There you will find other rustic and you need outdoor items, for your home away from home.